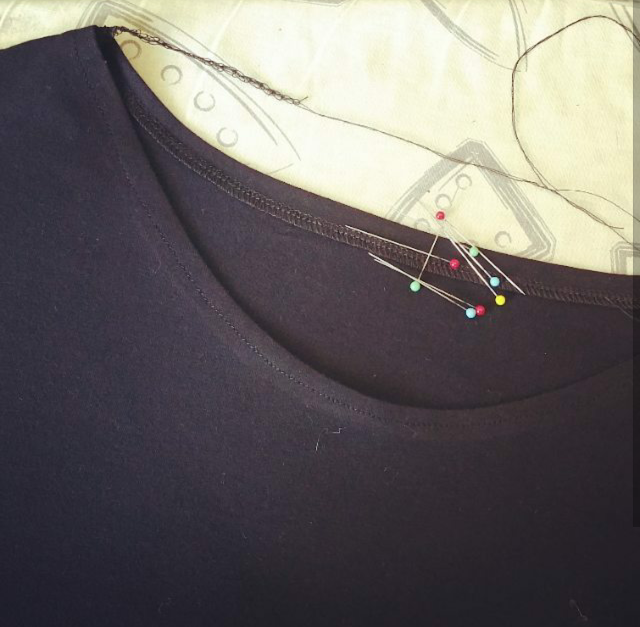 Not a very exciting make, or a new to me pattern - but I've (finally) made myself a Mandy Boat Tee in black jersey. Of course it probably would've been wiser to do this when the weather was cooler as it's a bit hot to wear this now. This fabric, from The Remnant Warehouse, also doesn't have a light breezy feel to it. 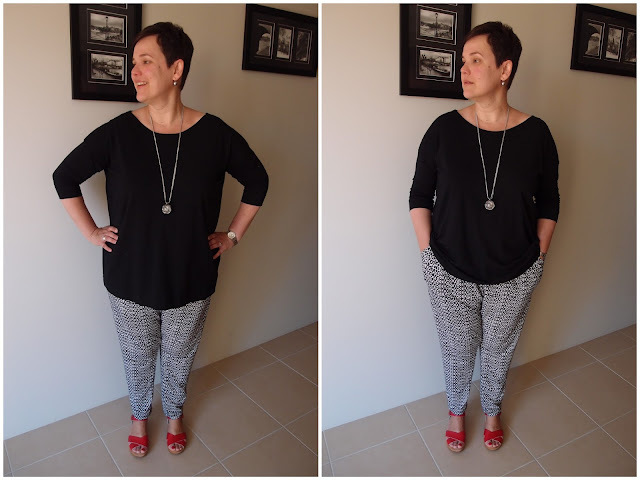 I've taken a different approach with stitching this top - using a straight stitch for the neckband (and hem) as I think it looks much neater than my wobbly zigzagging and I saw someone on Instagram doing this and she said she had no issues with popped stitches. I increased the stitch length a bit to ensure the neckline does have a bit of give and won't pop when I'm putting it on, but the hem is sewn at the regular length as no stretch is needed there. Arms are still sewn with a zigzag as the sleeves are tight and they do need the stretch a zigzag stitch gives. ...and the back...good bum coverage! Like my other recent Mandy's the hems are sewn at 1.5" - 2" - I really like the look of this "deeper hem". 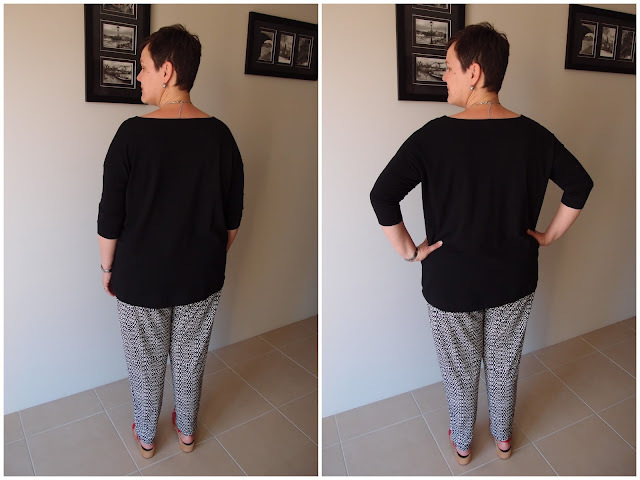 Modifications: lengthened by 9cm (I think it's a bit long but I never seem to make it shorter as I'm lazy and also indecisive), the sleeves/arms made bigger for me a sewing class I did at Tessuti. Changes for next time: might lop off a few cms at the hem, but probably not. KwikSew 3880 - me likie!